13 as a player, 7 on the committee. No one else wanted to be club captain. I’ve loved watching the development of a number of our talented local players over the last few years. While we’ll never change the negative perception of a few simpletons from Rivett, the way the club has backed the talent of guys coming through our academy has been awesome. Obviously the stars like Robbo, Joe Powell and the Oakman-Hunt twins were always going to be handy players but it’s been great seeing how far guys like Holty, Cal Smith (on field anyway), and Isiah Tikitau have come. Whilst I could name plenty I’ll avoid the obvious answers and say watching second grade win the 2013 preliminary final. Mikey Matouk’s pilfer/celebration at Phillip District a couple of years ago was also pretty special. 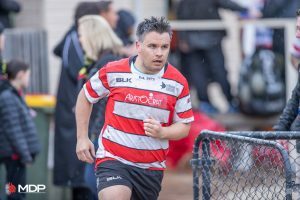 It is likely that you will go down as the greatest Player-Clubman in the Vikings history. Who do you think will fly the flag once you’ve retired and why? I think the first part of that question is pretty unfair to a number of people, a couple of whom are on the committee right now. One of the big challenges we face as a club over the next couple of years is getting more people involved in the off-field side of things. We can’t expect the same familiar faces to carry on indefinitely. I’m looking forward to seeing who puts their hand up but I don’t want to put the mocker on anyone.